Check out our Facebook page to find a link to the Golden Apple Awards ceremony video. 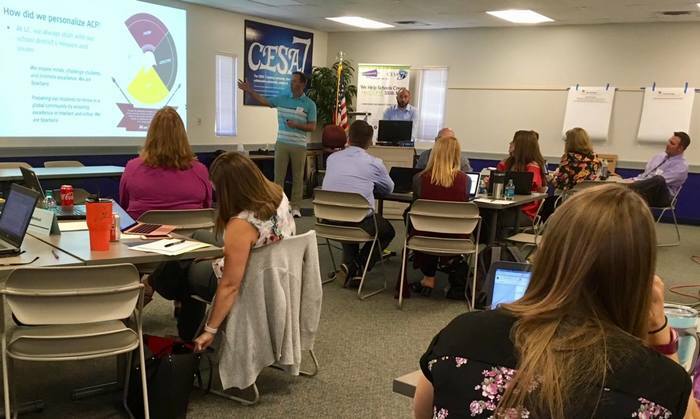 Check out our Facebook page for a listing of 2019 CESA 7 Title I Schools of Recognition. Congratulations to all! Today is Earth Day 2019~Visit our Twitter feed to access a video about plastic pollution to use in the classroom! CESA 7 districts announce students that have achieved a perfect score on the ACT! Visit our Facebook page for details. Tomorrow the Mishicot School District's OH Schultz Elementary will be featured as part of Fox 11’s S.T.E.A.M. educational recognition series. The story will air in Good Day Wisconsin between 6-8 a.m., Fox 11 News at 5 and Fox 11 News at 9. Register for the May 2-3 FBA-BIP training by April 25! See details in our Event Registration area and on Facebook. The Southern Door School District’s “STEAM” program will be featured this upcoming Tuesday, April 9th, as part of Fox 11’s S.T.E.A.M. educational recognition series. The story will air in Good Day Wisconsin between 6-8 a.m., Fox 11 News at 5 and Fox 11 News at 9. There is a great story on Green Bay Preble Culinary Arts students on our Twitter feed. Take a look. Working on the Work (WOW) is happening at CESA 7 on Thursday and Friday. Check out our Facebook page for pictures. Congratulations to the School District of Sevastopol and Kailee Moe! Kailee earned a perfect score on her ACT college admissions exam. Check out our Twitter account for the full story. The Two Rivers School District’s “Technology Education” program will be featured this upcoming Tuesday, April 2nd, as part our Fox 11 S.T.E.A.M. educational recognition series. The story will air in Good Day Wisconsin between 6-8 a.m., Fox 11 News at 5 and Fox 11 News at 9. The Mishicot School District’s “Fab Lab” will be featured this upcoming Tuesday, March 26th, as part of Fox 11’s S.T.E.A.M. educational recognition series. The story will air in Good Day Wisconsin between 6-8 a.m., Fox 11 News at 5 and Fox 11 News at 9. The Pulaski School District's “K-5 Coding” program will be featured this upcoming Tuesday, March 19th, as part of Fox 11’s S.T.E.A.M. educational recognition series. The story will air in Good Day Wisconsin between 6-8 a.m., Fox 11 News at 5 and Fox 11 News at 9. Watch for WIAD State Competition Results in our Newsroom! The Kiel School District's technology education program will be featured this upcoming Tuesday, March 12th, as part of Fox 11’s S.T.E.A.M. educational recognition series. The story will air in Good Day Wisconsin between 6-8 a.m., Fox 11 News at 5 and Fox 11 News at 9. 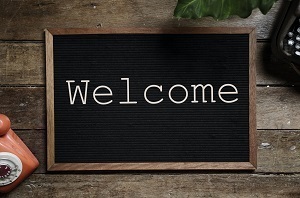 2019 Herb Kohl Foundation Excellence Scholarship, Initiative Scholarship, Fellowship and Leadership Award recipients have been announced. 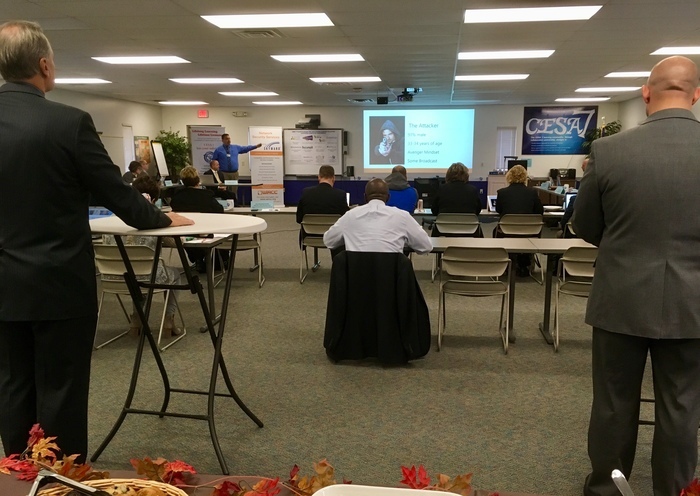 Watch for recognition of our CESA 7 districts coming up in our Newsroom. March is Women in History month. On our Facebook page on Fridays throughout the month we will post profiles of local women that have made an impact in our area. Check it out. The Southern Door School District's Lego Robotics program will be featured this upcoming Tuesday, March 5th, as part of Fox 11’s S.T.E.A.M. educational recognition series. The story will air in Good Day Wisconsin between 6-8 a.m., Fox 11 News at 5 and Fox 11 News at 9. The Washington Island School District’s “ROV Program” will be featured this upcoming Tuesday, February 26th as part of Fox 11’s S.T.E.A.M. educational recognition series. The story will air in Good Day Wisconsin between 6-8 a.m., Fox 11 News at 5 and Fox 11 News at 9. The Green Bay Area Public School District's King Elementary School will be featured this upcoming Tuesday, February 19th, as part of Fox 11’s S.T.E.A.M. educational recognition series. The story will air in Good Day Wisconsin between 6-8 a.m., Fox 11 News at 5 and Fox 11 News at 9. The Mishicot School District's OH Schultz Elementary School STEM program will be featured today on Good Day Wisconsin between 6-8 a.m., Fox 11 News at 5 and Fox 11 News at 9. The CESA 7 Baeten Road office will be closed on Thursday, February 7th due to the anticipated adverse winter weather conditions. 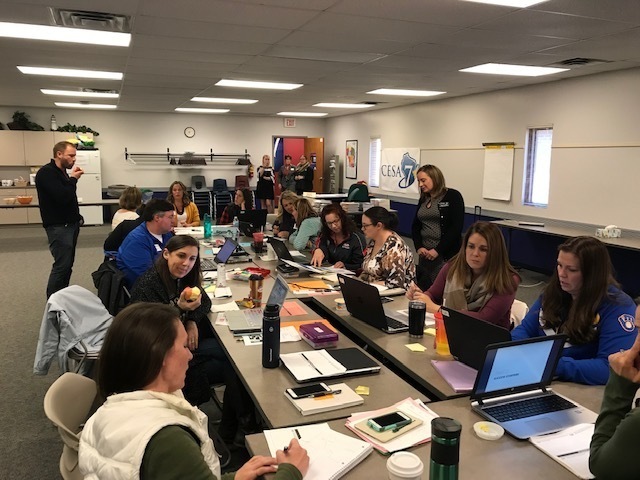 The Pulaski School District's “Apple Core Training” program will be featured this upcoming Tuesday, February 5th, as part of our S.T.E.A.M. educational recognition series. The story will air in Good Day Wisconsin between 6-8 a.m., Fox 11 News at 5 and Fox 11 News at 9. The Dr. Anthony Muhammad event will go on as planned. 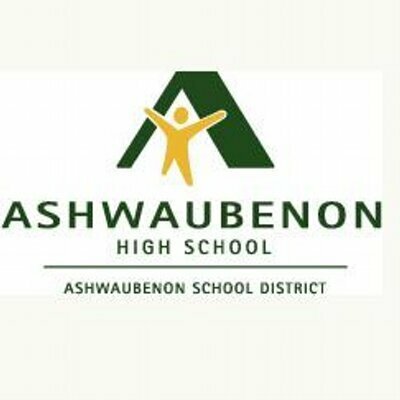 Please take extra time driving to the Ashwaubenon PAC. The 1st session will begin at 8:30 and the 2nd session will begin at 10:30. We hope you are able to join us at some point this morning ~ take your time driving in. We have rescheduled the Legal Day event sponsored by Davis|Kuelthau for February 19th. The location and times remain the same. We look forward to seeing you then! Contact bspengler@cesa7.org with any questions. SPELLING BEE UPDATE: The rescheduled date for the Sheboygan County (Out-of-City) Regional Spelling Bee is set. It is Monday, February 11, 2019. WOW UPDATE: We regret to inform you that WOW 3 Jan 30th & 31st has been cancelled due to inclement weather. DPI is currently communicating with Dr. Shelley Moore to potentially reschedule, but we do not have further information at this time. We will keep you updated. SPELLING BEE CANCELLATION: The Sheboygan County (Out-of-City) Regional Spelling Bee that was rescheduled for this evening, January 29, has been postponed due to the weather. The event will be rescheduled (date to be determined). Gibraltar will be in the spotlight on Tuesday as part of our STEAM educational recognition series. The story will air in Good Day Wisconsin between 6-8 a.m., Fox 11 News at 5 and Fox 11 News at 9. CANCELLATION: Legal Updates with Mary Gerbig for tomorrow, Jan 29, is cancelled. CESA 7 is working to reschedule this event and will be posting the new date soon. Washington Island will be in the spotlight on Tuesday as part of our STEAM educational recognition series. The story will air in Good Day Wisconsin between 6-8 a.m., Fox 11 News at 5 and Fox 11 News at 9. The Webster Elementary Children’s Center for the Integrated Arts will be featured on Tuesday as part of our STEAM educational recognition series. The story will air in Good Day Wisconsin between 6-8 a.m., Fox 11 News at 5 and Fox 11 News at 9. Congrats to Washington Island on being the state winner in the Samsung Solve for Tomorrow Contest. A nationwide competition challenging students to inspire change in local communities by developing solutions to complex issues using STEM skills. They win $20,000 in technology. Check out our newsroom to see the Denmark Middle School technology education FOX 11 story. The Denmark School District's Middle School Tech Ed program will be featured on Tuesday on Good Day Wisconsin between 6-8 a.m., Fox 11 News at 5 and Fox 11 News at 9 as part of our ongoing STEAM series. Check out our news section to see a list of all the 2019 Golden Apple Award nominees. On Wednesday the Sturgeon Bay School District’s Allied Art program will be featured on FOX 11's Good Day Wisconsin between 6-8 a.m., Fox 11 News at 5 and Fox 11 News at 9. Merry Christmas from all of us at CESA 7. 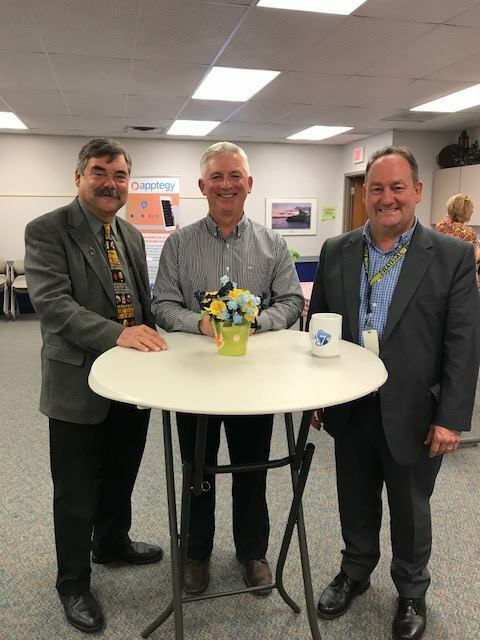 On Tuesday the Southern Door School District’s Lunch Bytes program will be featured on FOX 11's Good Day Wisconsin between 6-8 a.m., Fox 11 News at 5 and Fox 11 News at 9. Tomorrow the Howard-Suamico School District's Middle School musical program will be featured as part of Fox 11’s S.T.E.A.M. educational recognition series, sponsored by Tundraland. The story will air in Good Day Wisconsin between 6-8 a.m., Fox 11 News at 5 and Fox 11 News at 9. Tomorrow the Ashwaubenon School District's Middle School Tech Ed program will be featured as part of Fox 11’s S.T.E.A.M. educational recognition series, sponsored by Tundraland. The story will air in Good Day Wisconsin between 6-8 a.m., Fox 11 News at 5 and Fox 11 News at 9. Mrs. Claus is back. We are once again offering the award winning electronic field trip, A Visit with Mrs. Claus, this month. To schedule this E-field trip opportunity contact dleisgang@cesa7.org. Tomorrow the Pulaski Community School District's Middle School Digital Art program will be featured on all the FOX 11 newscasts as part of our ongoing S.T.E.A.M. educational recognition series. Tune in. Don't forget to tune into the FOX 11 news tomorrow to see our latest STEAM profile. 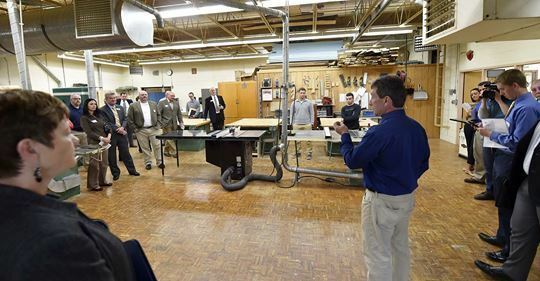 This week the Kiel School District’s Youth Apprenticeship program takes center stage. The STEAM series is brought to you in a coordinated effort by Fox 11, Tundraland and CESA 7. Congratulations to our own Dean Leisgang for winning three 2018 Spectrum Awards from the Wisconsin School Public Relations Association (WSPRA). The awards were for videos produced for the Green Bay School District, Antigo School District and CESA 7's Project Search program. 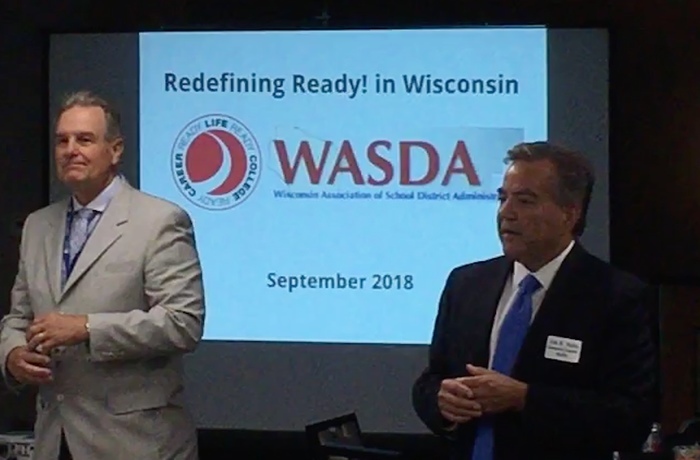 Congratulations to CESA 7 member schools Howard-Suamico, Manitowoc and Pulaski for winning 2018 Spectrum Awards from the Wisconsin School Public Relations Association (WSPRA). Due to game 1 of the World Series we are taking a break from on our ongoing weekly STEAM educational profile series on FOX 11. We will return next Tuesday with a new story to share. 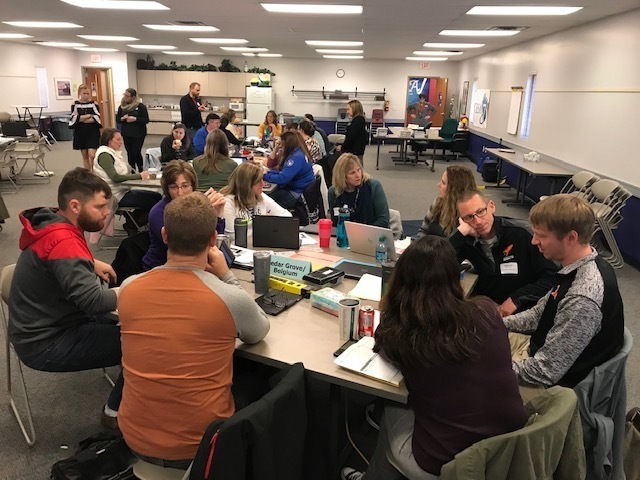 The WOW series - Working on the Work - continues at CESA 7! Find out more about Redefining Ready! https://drive.google.com/drive/folders/1iPUIUjFK9ch2XwanhAvr6JHMoGLmK0Mc College Ready, Career Ready, Life Ready! Congratulations to Gibraltar Elementary School for earning a U.S. Department of Education National Blue Ribbon!! Update: The launch of our weekly CESA 7 School District STEAM profiles has been pushed back to September 25th. 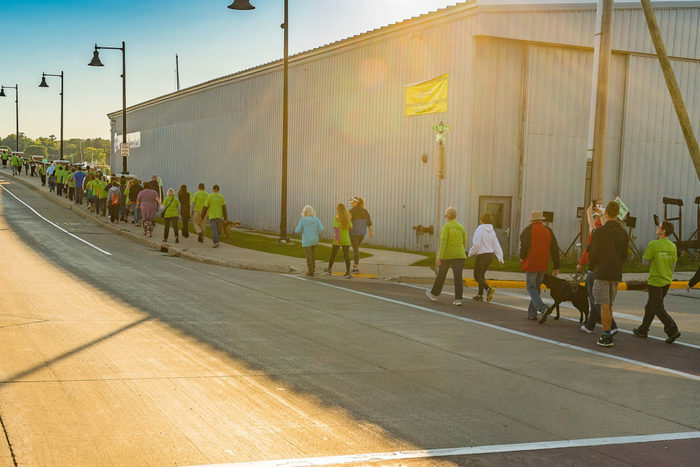 Once the program starts you can see the stories on Good Day Wisconsin between 6-8 a.m., Fox 11 News at 5 and Fox 11 News at 9 starting on September 18th. We are one week away from the launch of our weekly CESA 7 School District STEAM profiles. Watch for the stories on Good Day Wisconsin between 6-8 a.m., Fox 11 News at 5 and Fox 11 News at 9 starting on September 18th. CESA 7 is proud to announce that the video field trip entitled A Visit with Mrs. Claus has earned a Pinnacle Award for 2017-2018. 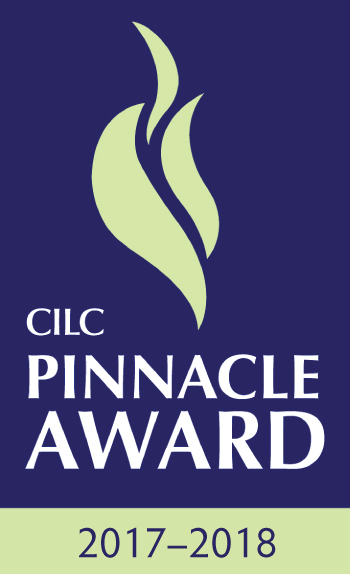 The Pinnacle Award is given annually, by the Center for Interactive Learning and Collaboration (CILC), to organizations that receive outstanding scores on program evaluations submitted by educators and Activity Directors. The award indicates remarkable quality of educational content and exceptional skill at program delivery. 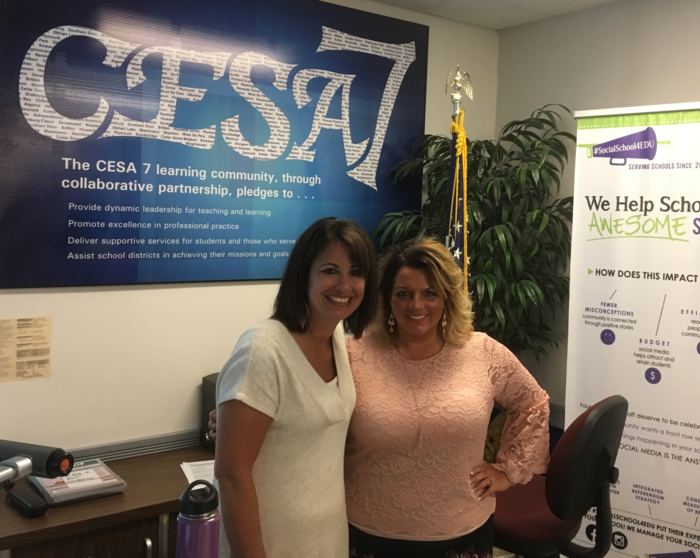 Roxanne Nys created the virtual learning opportunity for CESA 7 and has served as Mrs. Claus for the program since its inception in 2009. The program has earned a Pinnacle award every year it has been offered. “Each year the honor roll of Pinnacle Award winners grows longer. This year we are recognizing 69 organizations for exemplary interactive programming. We at CILC are so proud of how our content provider partners consistently impact the lives of students and lifelong learners across the globe. Congratulations, all!” said Janet Zanetis, CILC Managing Director. To learn more about distance learning and video field trips, please contact Dean Leisgang at dleisgang@cesa7.org or visit https://www.cesa7.org/communications-video. Summer Learning @CESA7 today! FBA & BIP Workshop with Connie Persike! Have you started following our #ThisIsC7 campaign?